To address biodiversity issues in ecology and to assess the consequences of ecosystem changes, large quantities of long-term observational data from multiple datasets need to be integrated and characterized in a unified way. Linked open data initiatives in ecology aim at promoting and sharing such observational data at the web-scale. Here we present a web infrastructure, named Thesauform, that fully exploits the key principles of the semantic web and associated key data standards in order to guide the scientific community of experts to collectively construct, manage, visualize and query a SKOS thesaurus. The study of a thesaurus dedicated to plant functional traits demonstrates the potential of this approach. 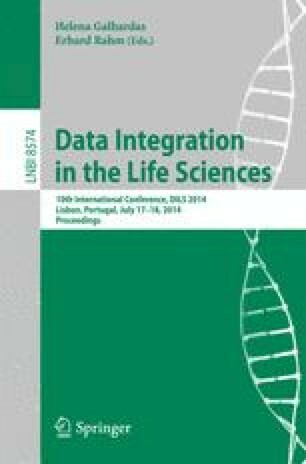 A point of great interest is to provide each expert with the opportunity to generate new knowledge and to draw novel plausible conclusions from linked data sources. Consequently, it is required to consider both the scientific topic and the objects of interest for a community of expertise. The goal is to enable users to deal with a small number of familiar and conceptual dimensions, or in other terms, facets. In this regard, a faceted search system, based on SKOS collections and enabling thesaurus browsing according to each end-users requirements is expected to greatly enhance data discovery in the context of biodiversity studies.